Downtown Memphis Bike-To Work Day! 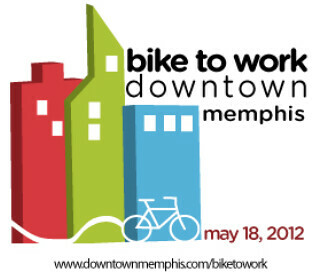 Downtown Memphis is proud to be part of the national Bike-to-Work Day, this year on Friday May 18! Join cyclists all across the country as they give bicycle commuting a try! Local events include meet-ups, energizer stations, Bikesploitation II film festival, and lots more! Do not miss the Downtown Bicycle Expo at Court Square on Main between Court and Jefferson; May 18 from 11am - 1pm. Celebrate Bike-to-Work Day with live music by Deering & Down, a vendor showcase, and more! Bike-to-Work Day participants can also pick up their gift bags at the Downtown Bicycle Expo. Huey's Downtown is offering a free nonalcoholic beverage with any food purchase to participants wearing their official Bike-to-Work Day sticker! For more information about the Downtown Memphis Bike-to-Work Day Click Here! Check Out the 2012 Memphis in May App! Look for updates as we near the festival! Keep up with when and where with event maps and the up-to-date schedules for Memphis in May! This awesome App is updated with all the latest news and information to help you plan your visit to the Memphis in May International Festival! For all of your real estate needs, visit us at www.yourkeytomemphis.com! Memphis in May's World Championship Barbecue Cooking Contest! 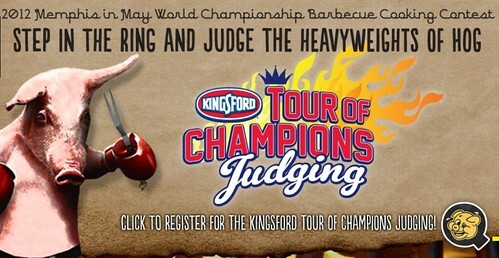 Enjoy Memphis in May's World Championship Barbecue Cooking Contest May 17-19, 2012 at Tom Lee Park. Hundreds of barbecue teams will compete for the championship title and bragging rights, and throw a heck of a huge party while the grills are going. The participating barbecue teams go all-out with lavishly decorated creative booths, t-shirts, and themes involving the honored country; which is the Philippines this year. Most teams throw extravagant parties, complete with disco balls, custom-built liquor shot dispensers, and deejays. Barbecue teams include Hog Wild, Optimus Swine, 10 Bones BBQ, Jacks Old South, Pork Me Tender, Red Hot Smokers, and hundreds more! If you do not know someone with a booth, and you want to enjoy barbeque; no worries there are food vendors with barbeque for purchase. On Saturday, May 19 is the judging of the World Championship Barbecue Cooking Contest, so that is when the barbecue really counts! •Times: Thursday 10 a.m. – 12 a.m., Friday 11 a.m. – 12 a.m., and Saturday 10 a.m. – 10 p.m.
•The park is about a mile long, so wear comfortable shoes. Be sure to check out www.yourkeytomemphis for all of your Real Estate needs. Do you know what Galatoboureko is? Then be sure to visit the 54th Annual Memphis Greek Festival this weekend. How Much: $3 admission (12 and older), $1 ages 6-11 and ages 5 and younger are Free. Separate charges for food items. No additional charges for sanctuary tours, live performances or dance lessons. Be sure to go to www.yourkeytomemphis.com when looking to buy or sell a home. Have a “greek” weekend! Oh yeah Galatoboureko is a custard-filled phyllo pastry. Yummy! 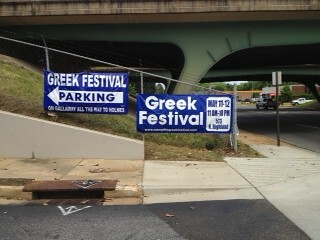 Hope you enjoy the Memphis Greek Festival! May 11-12. The Friends preview is 8am-10am on Friday May 11th. 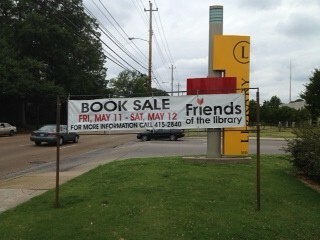 Booksales take place at the Benjamin L. Hooks Central Library, 3030 Poplar Avenue. Over 1,000 families, businesses, and individuals just like you - make up the Memphis Friends of the Library, an organization dedicated to supporting one of our community's greatest assets: the Memphis public library. Be sure to check out www.yourkeytomemphis.com for all of you housing needs. Year to Date sales are up 1% from last year. The number of homes for sale is up from the previous month, as well as the number of pending transactions. The average and median sales prices are higher than last month. The most significant market changes are by price level, zip codes & area and are included in our market report; just click to view the complete May Market Report! The data compiled is from April 2012. Mother's Day is Sunday, May 13th, so do something nice for your mom to show her how much you love an appreciate her. Mothers Day is a celebration honoring mothers and celebrating motherhood. If you want to go out to brunch, now is the time to make a reservation. Husband's take your wife out the night before and have date night. Here are some date night restaurants, and a bunch of ideas for other date night fun. Pamper your mom on Mother's day - Here are spas, stylists and nail salons. Or how about a massage, or a prenatal massage - that's an awesome gift for a mom-to-be! Spend time together as a family and go see a movie. Celebrate the women in your life this Mother's Day and don't forget to thank them for all they do for you! Events in Memphis this Weekend April 27-29! Enjoy Trolley Night, the Memphis Redbirds or Beale Street Wine Race! If you have not been to South Main Trolley Night, you should go tonight. It is from 6-9pm at the South Main Historic District between South Main and Vance. If you are looking for something fun for the kids, take them to see Nickelodeon’s popular preschool music group; Fresh Beat Band at the Cannon Center for the Performing Arts, tonight Friday, April 27. Don’t miss the GreenUp Memphis Festival featuring the latest in everything green, including: environmental exhibits, green transportation, guided downtown hikes, children's contests, and a variety of food, beverages, live music and much more! The GreenUp Memphis Festival is Saturday April, 28 between South Front at GE Patterson, 10am – 2pm. Go see the fireworks show at the Memphis Redbirds game on Saturday, April 28 at AutoZone Park. Watch your favorite restaurants as they compete in four events for cash and prizes at the Beale Street Wine Race, Sunday, April 29 at 1pm. For more events going on this weekend in Memphis Click Here. Why Put a Home Warranty on Your Listing? If you are selling your home, a home warranty is a great way to minimize the risk of costs and delays during the listing period, giving your home a competitive advantage. Potential buyers can feel confident that they will have a home warranty company to assist with unexpected repairs after the sale. Today more home buyers prefer a home that is covered with a protection plan over a home that is not. On average, a homeowner will utilize their home protection plan at least two times during their first year of ownership. If you would like more information regarding a home warranty, you can contact the Your Key to Memphis Team at melissa@yourkeytomemphis.com.